Razia Jan is fiercely protective of “her” girls and is the film’s trusted narrator. 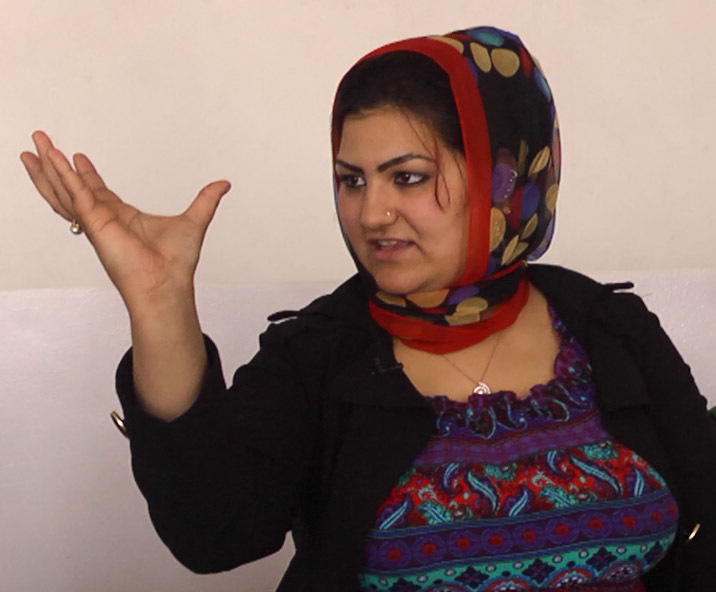 Razia has worked for many years to forge connections between Afghans and Americans. In 2012, Razia was named a Top 10 CNN Hero. Nazima is a beloved teacher and a role model for students—smart, caring and devoted. As the film progresses she must choose between her devotion to her students and fulfilling her marital duties. Rihala is the school’s oldest student and daughter of the village mayor. When her father takes a teenage bride as a second wife, Rihala’s life unravels. The school community fights to protect her, as she also stands up to her family and changes the course of her life. Pashtana is a 7th grader. She is the class clown—funny, rambunctious and charming. As pressure mounts for her to quit school, she makes a nearly deadly decision.